← The Sports Archives – Skiing in Summer – Top Ski Resorts With Year Round Snow! When Usain Bolt lines up for the start of the Olympic Men’s 100 meters final this summer, the eyes of the world will be on the clock to see whether he can beat his own world record. 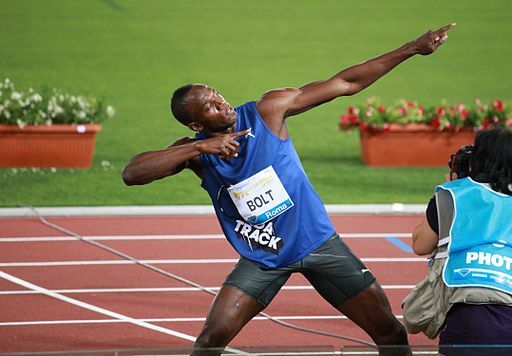 The days where world sprint records were smashed by seconds are long gone, and if Bolt does achieve a new world record, he will be shaving as little as one hundredth of a second off the current best time. Accuracy of measurement is critical in sport, and the technology has developed rapidly over the last century. The one brand name which is most linked with the measurement of sports timing is that of Omega, the company whose links with the Olympics goes as far back as 1932. The stopwatch used at the 1932 Olympics in Los Angeles was accurate to a whole second only, and although at the time it served its purpose, a more accurate chronograph is required today. Omega are still at the forefront of timekeeping at sports events today, although nowadays the measurements are taken electronically rather than manually. The advancement of sports timing technology meant that chronograph, or stopwatch features, became more commonly added to standard wristwatches. People who were taking up sports such as jogging or swimming wanted to be able to accurately time themselves running over a given distance. Most often, a small stopwatch dial is found in the center of the face so as not to distract from the main dial. A classic design such as that of the mens Emporio Armani Chronograph watch will not date, and will provide the opportunity to accurately time sports for years to come. Electronics and computing technology feature heavily in the track and field timing for this summer’s Olympics in London. When the starter fires his pistol, this automatically starts the clock running. When the runners cross the line at the end of the race, the clock automatically stops. This is done by directing a beam of light across the finish line, which is broken by the first athlete to cross. In longer races such as the marathon, each competitor wears a small transmitter in the shoe, and this stops the clock when they cross the finish line. This makes accurately measuring the times of many dozens of athletes far easier. Although using a watch such as the men’s Emporio Armani Chronograph may be accurate enough to measure the winning time, those sort of stopwatches cannot cope with multiple timings. Until relatively recently, the distances thrown or jumped in field events such as javelin, discus or long jump were measured by a team of officials with a measuring tape. Nowadays, although there will still be officials with their tape measures in the stadium for back up should something go wrong, the distances are now calculated using a complicated mathematical formula based on the landing point, starting point and another fixed point. The calculations involved are similar to those used by civil engineers when measuring distances for building new roads, and use the same sort of equipment. For accurate time keeping, the mens Emporio Armani Chronograph watch can be found online at WatchHub.co.uk. This entry was posted in Olympics, Other and tagged 1932 Los Angeles Olympic Games, 2012 London Olympic Games, 2012 Summer Olympics, discus, emporio armani, javelin, Jogging, london 2012, long jump, marathon, Olympics, olympics 2012, Running, sports, sports and leisure, Sports Archives, sports equipment, Swimming, Usain Bolt, watches. Bookmark the permalink.